This collection of essays and articles are the culmination of many years of study and research, euphemistically called The Collected Works. They are simply offered here for others to read, to peruse at their leisure and hopefully pleasure. Perhaps others will find my efforts interesting and informative and that the somewhat eclectic range of topics and subjects does indeed have the appeal which I intend and would like to share. This ‘collection’, and seemingly amorphous assemblage, may seem unconnected at first encounter but does, I hope, show a humanistic orientated social awareness and consciousness. As such it encompasses subjects that range through the domains of the human sciences, social and biological anthropology, archaeology, ethnology, mythology, folklore, and a section called Notes and Queries which consists of recorded and annotated oddments of interest that were never worked up into a finished essay or contribution. For me mythology in many cases is a form of ideology – myths of appropriation that allow the gods and priests demanding and receiving a surplus or justifying an invasion. After all, when one builds a model of Noah’s Ark for one’s young son from instructions in Genesis, and ends up with a miniature ziggurat or storage house for those who did not produce – there is nothing wrong with believing that Jason and the Argonauts were piratical raiders, or that the Trojan War was fought to wrest control of the trade routes to Hither Asia. In some ways the ‘collection’ is really a Rites de Passage that is the result, and accumulation of, studying warmly welcoming, richly smelling and musty tomes, journals, documents and readings. A life , some of which only has been spent in the quiet seclusion of libraries, spent in the company of skilfully and attentively bound and equally silent companions. Time spent in the Bodleian and other libraries in Oxford. Other occasions included time in the Archives of the Indies in Seville; the national archives in Madrid, Paris and the Scheepvarts in Amsterdam, the British Library, the Balfour Library and Pitt Rivers Museum in Oxford, and not forgetting the enchanting and lovely Radcliffe Camera. Some of the topics here have some anecdotal connections – the Bogeyman stems from a time of young childhood in the late 1940’s when my father was required somewhat bemusedly to rattle under by bed with a broom to drive away this potential nocturnal visitor. Similarly, the Sandman brings back student memories in a local tavern of the cloaked and mysterious black hatted character on the label of a Sandeman’s port bottle. Again, this ‘collection’ has its share of goblins, hags, werewolves, goddesses, and totems, all of which still retain echoes of our folklore past and which I have tried to preserve more openly in the public domain. For me the contributions about museum artefacts result from a job I once had and hopefully reflect not just family origins (both Newcastle and London) but also my belief in the fact that we all share a common humanity, that we have not only a biological existence but also an all important social essence. I welcome comments both supportive and critical. Whilst I pursue my retirement from being a onetime youthful student of theatre design (which inspired a lifelong passion for the history of art), a many times industrial worker, student psychiatric nurse, A level student of zoology and botany, Oxford undergraduate in human sciences at New College,, postgraduate in human variation, race biology and coronary disease research preceded by osteoarchaeological analyses in Oxford City. My final employed sojourn in the Pitt Rivers Museum and its Balfour Library was both illuminating and enjoyable and many of its fruits are within this blog site. I have referenced as completely as I can and all illustrations are from the public domain and which I hope add to the timbre of these ‘works’ as all may find them. Essentially as the Old Time Music Hall adage says – “For your delectation.” I have a number of contributions still in the pipeline, still in preparation, projects that will eventually empty my filing cabinet of its notes and jottings, as well as my ambitions. Re Nelson Bean- A freed Jamaican slave in Oxford. I may have some information that could perhaps help to solve the mystery of his arrival in Oxford. I have been researching the Bean Family and have traced it back to Mungo Bean and Janet Porteous in Logie Parish Perthshire Scotland they married in 1746 and John was their son born 1756. He appears to have travelled to Jamaica at some point well before 1807.
he appears to have been a wealthy man and left a legacy of 500 pounds Jamaican to Logie Parish Church and there is also mention in the Kirk session records of a sum of £3,500 sterlng being received. He also purchased lairs in the church yard. He did however die unmarried as far as I can tell, in Jamaica in 1837. Apparently he left a will. Wills around that time were inclined to list the slaves as property to be disposed of under the terms of the will. I appreciate that at this time they would have become apprentices but nonetheless would probably have been taken care of in some way. Perhaps if we could find out who was/were the beneficiaries of the will it may throw some light on the subject. Sadly neither I nor my fellow have researchers been able to have sight of this will and have been met with a certain amount of obstruction. Perhaps the University of Cambridge might have some success where we have failed. The reference for the will is Wills Liber # 118 and it is 3 pages long. I would also be very interested to see the rest of the letter that was sent to Philip Monoux Lucas by John Bean in 1807. I have a copy of the first page. I will be sending copies of letters and documents within a day or two. Hope they will be of interest and use. Eric. Need your email address so can send copies of docs. Just discovered your site as my wife Angela is researching Edward Lovett for her latest book and we came across your piece on The Storm Petrel Candle. What a huge collection of fascinating and strange information. One of the best sites I’ve come across. I’m not one for ‘following’ stuff normally but will definitely be revisiting this site. I really enjoy your explanations of the articles and how you tie them all together, to me that’s very cool! Keep up the wonderful work and I can’t wait to read more of your posts. Im a student in the University of Lisbon. 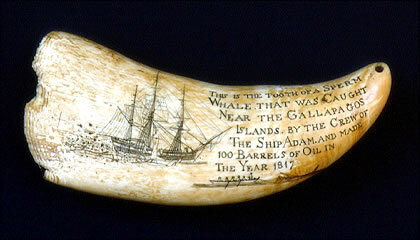 My master is about Scrimshaw in Arts. I want to know if i can use this photo in my Master Teasis? Hello, I would like to use this website for my Research Paper about Jacques- Louis David. I would like to know who wrote all these wonderful information on this website. Thank you. Badb, the Irish goddess of war. Lilith - mother or ancient female demon of the night?